[Blind Gossip] This Presidential hopeful for 2020 knows that he needs to portray a certain image if he wants wider acceptance. So it should not be too surprising to you that he is trotting out a respectable female companion just in time for the start of his campaign! She’s no amateur either. She knows exactly how politics works. No, he’s still with his boyfriend. She’s a beard. She looks good and they get along. She’s willing to do whatever it takes for the duration of the campaign. Sounds like they are both in it to win it! [Optional] Would you vote for this man? Would you vote for Mark Zuckerberg? Please keep your comments civil. [Optional] Would you vote for this man? Would you vote for Mark Zuckerberg? Please keep your comments civil. No and heck no. Kim has been a political wife before so she knows how the game is played. But this may also be CA Gov’r hopeful Gavin Newsome, her ex. I wouldn’t vote for any of them. Can’t be them – he wouldn’t run against his father in 2020. I wouldn’t vote for Booker. 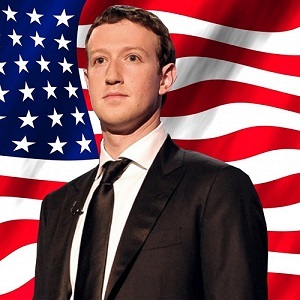 I wouldn’t vote for Zuckerberg if he was the only person on the ballot. Optional: No way to both. Yes, I probably would vote for him. Zuckerberg, um, no! I don’t think the grey T-shirt would look appropriate on the podium on Inauguration Day. This is Cory Booker from my home state of NJ. I really like Cory and wish he would be able to run as a gay man, but that will never happen in this climate. I would be utterly surprised if he did actually get the nomination. I think we haven’t seen the nominee yet – it will be someone new. Spartacus. What a hypocrite, disgusting. Corey Booker. Sad. I am not inclined to vote for liars. Corey Booker….and no, I wouldn’t vote for the android named Zuckerberg. Would you vote for this man? Not on a bet. Would you vote for Mark Zuckerberg? Repeating not on a bet. No, this guy appears to be unstable. Female companion :Chanda Gibson, executive director of the Council of Urban Professionals. He’s been dating “instagram poet” (LMFAO) and hipster socialite Cleo Wade for the past couple of years, so it must be her the blind item is talking about – or did I miss something? did they break up? Clearly Cory Booker. I don’t care who he’s dating or why. I would vote for him despite this if he were the candidate that most closely aligned with my values (meaning – it would depend on who the other dem candidates were in the primary). I would 100% vote for him if he were the dem nominee. I would never ever vote for Zuck. Under any circumstances. Senator from my home state and I went to law school in Newark while he was the mayor there. Like him a lot and I’m sure a lady acquaintance will help for some of the red states, but live your life, man! After what Booker did to Judge Kavanaugh? No one in a red state would vote for him. Or Kamala Harris or Richard Blumenthal. Man: Cory Booker. There’s a story going around about a secret on/off relationship. Would you vote for this man? Absolutely. I’ve been a big fan of Booker for a long time. I’d work for his campaign. Being gay isn’t the problem with Booker. Being sleezy is. Totally Corey Booker. I’m so sick of lies. I don’t know anything about him so I can’t say. I don’t respect closeted politicians though. Corey Booker. Not a fan, btw. I would not vote for any candidate who hides his personal life. In a presidential election, its going to come out so get in front of it. Cory Booker. I wouldn’t vote for him because of the beard. My opinion is if he can’t be honest about himself, how can he be honest with us? Besides, it makes him subject to blackmail and extortion attempts. Corey Booker! Not fooling anybody!! Cory Booker and his long time friend, Chanda Gibson. Supposedly they are trying to keep their “relationship” a secret. I would not vote for Cory, he is a hypocrite who admitted to assaulting a woman in his past, but is trying to block Kavanaugh from becoming a supreme court Judge! Initially, yes. But his grandstanding during the Kavanaugh hearing was an obvious audition for 2020. “Hey, look at me!” And I can’t stand Kavanaugh! Zuckerberg? Hell no. He’d be spying on everyone. God, the last thing we citizens that live in this country need, is more lying, deceitful, conniving people running for office, especially as President, because it’s never for the good of the country or the people, only for the agenda and benefit of those involved. God help us all! Everything he does is a lie. Oh Corey Booker, just come out already! Cory Booker? Seems like I saw him with a smart, gorgeous woman recently. Would I vote for Zuckerberg? No doubt he’s brilliant and capable, but he is awkward AF. Did you guys see his hearing?!?!?! AWKWARD AF. Yes, I would vote for him. 100%. This is just how politics and people’s minds works today. He wouldn’t be able to go into a black church and ask for votes as a gay or bi man. He’d also lose the women’s vote among those who are attracted to him and feel they don’t have a chance now. I’m sure he analyzed this. Anyway, if he reads this, know that to this voter at least, your sexual orientation doesn’t matter. Just the orientation of your heart towards us citizens. Cory Booker. And no to Z. He has no experience. I am for O’Rourke/Harris 2020. Beto O’Rourke is very Kennedy-like. He has a serious problem with driving while intoxicated. I like what I’ve seen. I wish he didn’t have to need a beard to make it as a mainstream politician. Corey Booker. Yes I’d vote for him. No on Zuckerberg.